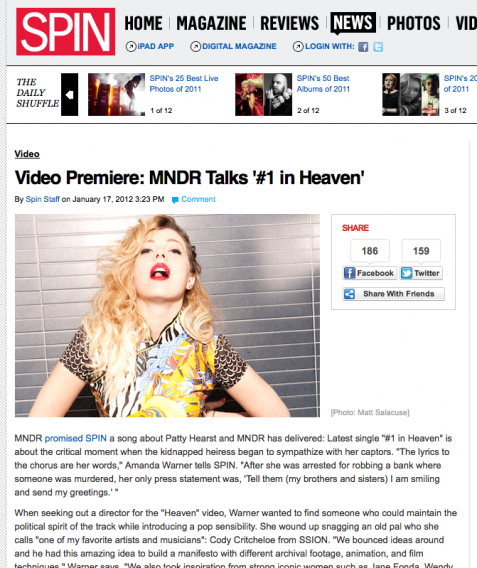 The MNDR official music video for “#1 in Heaven” just debuted on Spin.com. The video was directed by SSION (a.k.a. Cody Critcheloe) and features an appropriate amount of political imagery for a song about heiress-turned-revolutionary Patty Hearst. You can read more about the video on Spin.com. Learn more about Director Cody Critcheloe at the SSION site. 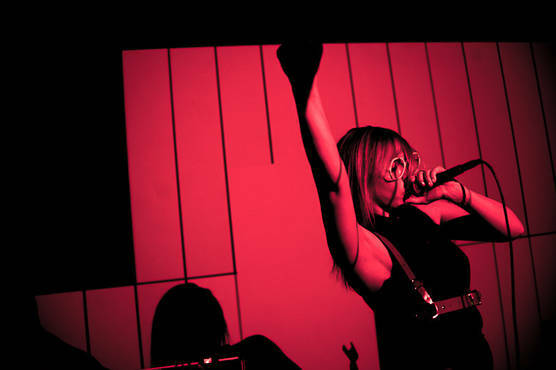 For those of you who were unable to make it, pictures are now available of MNDR’s recent performance at Spin Magazine’s iPad app launch party. Check out the sweet party flicks here. 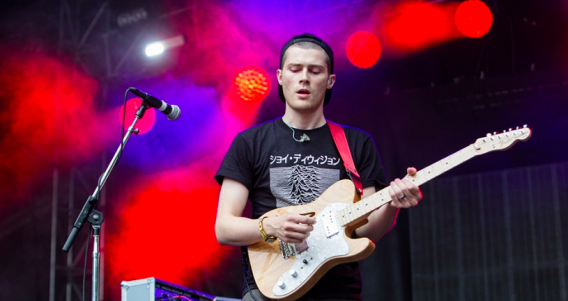 Spin Magazine put together it’s annual list of Next Big Things for 2011 featuring Lykke Li, James Blake, and of course, MNDR. If you want to beat your friends to the bandwagon read the full article online here, or check out the March Issue of Spin today!